Kazem Vaziri Hamaneh, the former Minister of Petroleum of Iran, believes Iran can easily sell its oil without facing any major problem. “During the eight year war (between Iran and Iraq), our production and exportation of crude oil never stopped. Because oil is strategic merchandise and it always has customers. Currently Western countries are trying to put sanctions on Iran oil, but Iran can easily find replacements for clients.” Kazem Vaziri Hamaneh said. “I have 40 years experience in oil industry and I have to say Iran won’t face any problem in selling crude oil to its customers. Also Iran can sell oil through third parties. However these channels will increase the sale cost for Iran but this is not high cost at these conditions.” Vaziri Hamaneh added. 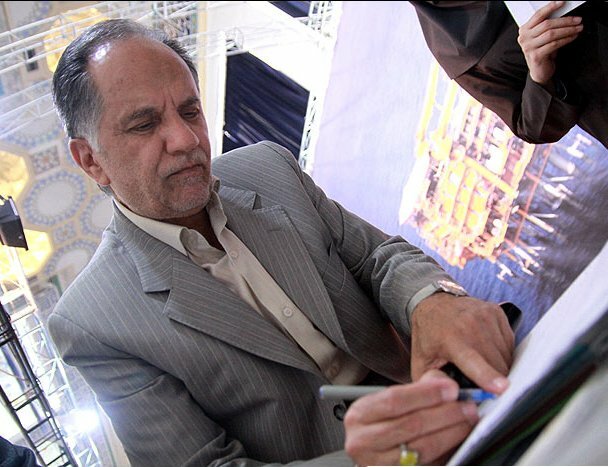 Kazem Vaziri Hamaneh is the previous minister of petroleum of Iran. He was the fourth person who was suggested to the Iranian parliament as the candidate for petroleum ministry by Mahmoud Ahmadinejad. The first three were rejected. European sanctions, including a ban on imports of Iranian oil by EU states and measures that make it difficult for other countries to trade with Iran, came into effect on Sunday.